All I could do was drive to Tillamook County, windshield washers blasting on high, hoping the storm passed by the time I arrived. And the outing turned out to be a fantastic way to spend 3 1/2 hours on the water. 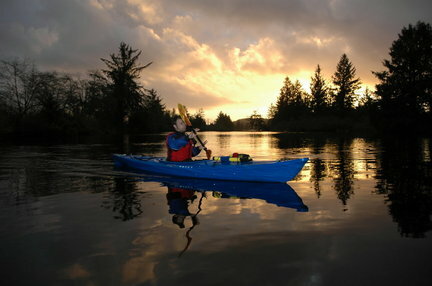 "Our guidebooks are designed for nonmotorized boaters," said Jenny Chick, water trail coordinator for the Tillamook partnership, "but they are not exclusively for kayakers. Anyone looking for general water information can use them."